The primary problem with the Rio Grande is drought. Our monsoon season ends on September 30. Even after many days of abundant rainfall, we’re still more than three inches below normal. We know our water supply is also imperiled by a shrinking aquifer, population growth, and development that continues no matter what. I’ve thought of humble ways to help out, like pouring used pasta water into the flower bed, but it never occurred to me–until a few days ago–that beavers would be a lot more beneficial, cosmically speaking. I learned this from a book loaned by a friend who is a retired scientist from Los Alamos National Laboratories. 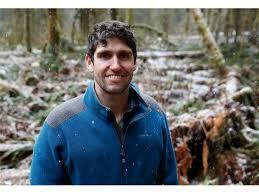 Titled Eager: The Surprising Secret Life of Beavers and Why They Matter, it was written by Ben Goldfarb, a young environmental journalist with a masters in environmental management from Yale University. He writes extremely well and with occasional humor that lightens the burden of truth about our treatment of the beaver. When I think about it, an experience 17 years ago seems to have foreshadowed this post. I’ve lived in nine states, and I’ve never seen a single beaver. 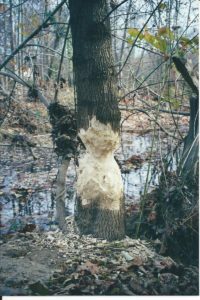 However, on a morning walk with my dog in Virginia, I discovered what looked like a beaver self-portrait gnawed into a tree trunk. If you look closely, you will see a fierce little eye and a chiseled nose and mouth. I took a photograph, picked up a bark chip for my collection of nature treasures, and went on my way. When I returned later, all the signs of beaver activity had been removed. I sadly knew that the sculptor had probably been killed. That’s what we do, and it began very early in our history. Goldfarb writes that the beaver “spurred the colonization of the continent.” This began in about 1500 when trappers invaded in pursuit of pelts. The thick, fine, and waterproof fur of the beaver was used for clothing and eventually very expensive, felt hats. The trade in beaver fur was very profitable, and in a peak year in the 1800s, The Hudson Bay Company sold 270,000 pelts. Unfortunately, incoming settlers were oblivious to the role beavers had played in creating the green and lush world they discovered. With the construction of dams, lodges, and burrows around a “spaghetti network” of streams, the beavers had created entire ecosystems including ponds and wetlands that supported an extraordinary range of wildlife from fish to butterflies. Goldfarb describes them as “ark-like” in this capacity. Unfortunately, as their homeland became more settled, the beavers’ ecosystems were seen as a nuisance by farmers and ranchers. 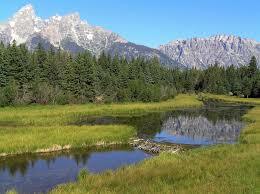 They wanted the water for irrigation, the land for crops and the grazing of cattle and sheep. 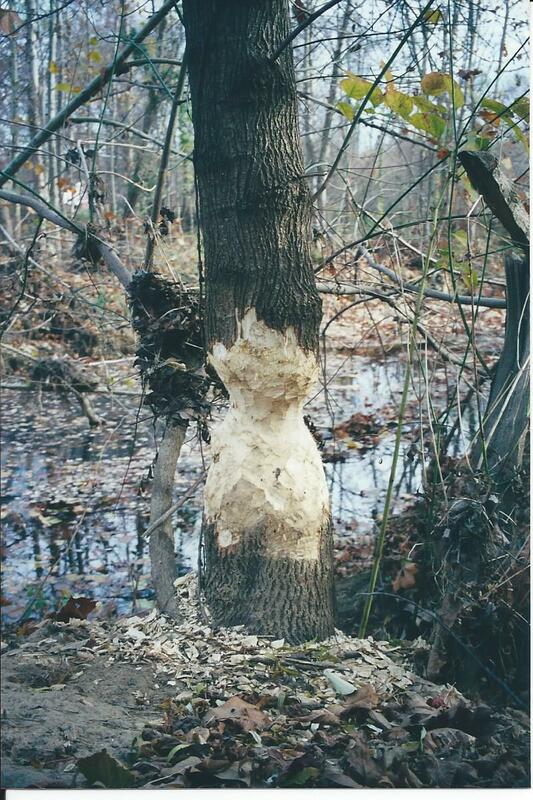 Beavers were seen as a nuisance, and they were killed on sight–millions and millions of them. They are enterprising, however, and after dropping to a low of about 100,000, their numbers have risen to around 15 million. Their resurgence is due in part to an awakening of consciousness. This was precipitated by the recognition of a triad of tragedies in the decimation of the bison and the passenger pigeon (now extinct) as well as the beaver. It inspired the birth of environmental and conservation movements, including the founding of a group called “Beaver Believers” who are devoted to the welfare of their namesake. This awakening reminds me of several things I learned about beaver anatomy that seem to have symbolic significance relative to “us.” The eyelid is transparent, which allows the beaver to see underwater. The human eye, on the other hand, seems to have a film over it that has blinded us to the value of the natural world. The beaver’s flat, scaly tail serves as an alarm system, sounding like a warning gunshot when it strikes the water. It makes one wonder if the warning will someday come for humans to begin to cherish planet Earth–or else. And then there are the beavers’ incisors that make it look a little buck-toothed. When anger rises at their “destructiveness,” we must take into account the fact that they were born with an imperative to chew and gnaw. This is due to the fact that their teeth grow perpetually and working them maintains balance. If a tooth goes askew, it could cause a beaver to starve–or suffer an impaled brain. Their incisors are another example of “When you have something, you have to do what it’s for.” As an aside, that pertains to humans–the imperative to use our brains more, I mean, not our teeth. 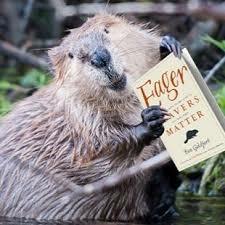 But even at this early stage of awakening, research has revealed new things about the value of beaver residency. For example, when beavers were killed or forced to evacuate, the wetlands they had created dried up and were discovered to have created exceptionally rich soil. This word has spread. Roger James, the manager of the nearly million-acre Winecup Gamble Ranch in Nevada, which is peacefully coexisting with beavers in some acreage, says that “beavers increase production tenfold.” Elsewhere, researchers have discovered that beaver ecosystems serve to filter out of streams the nitrates in industrial agriculture fertilizers that would otherwise flow to open water like the Gulf of Mexico and create dead zones. But going back to the Southwest’s need for moisture, of course beavers need to work with water to begin with, and my instant conclusion was that the situation here is hopeless. To the contrary, my scientist friend who is a “birder” said that it is amazing how many streams he discovers on his bird-watching treks. Maybe, just maybe, there are ranchers and landowners who would be willing to “beaverize” territory if they knew how fruitful it could be. Goldfarb’s book is clearly about us as well as beavers. Funny that we have looked at them as a nuisance when it is we who have been the most invasive and destructive mammal probably ever to walk the Earth. As I read, I kind of felt like dropping to my knees and begging pardon for our greed and ignorance. I hope similar sentiment will arise in millions of other individuals who turn Goldfarb’s book into an enduring bestseller. Super information and excellent presentation on the importance of these beautiful (ok, maybe not literally) creatures. I had read much of this before & have been fascinated by their work. while walking in many NM forests in my younger days, eons ago, I saw their awesome work. They are like Nature’s hero engineers and also architects in their own ways. I too am elated their numbers are increasing and truly hope we can leave Nature alone! Good morning from Strawberry in Stanislaus National Forest (just north of Yosemite). We’re way up here for Leif ‘s (my Karlstrom cousin’s son) and Brittaney’s marvelous camping wedding with onstage blue grass. Ann and I are staying in an inn with creature comforts. I wonder if beavers populate these 5k feet streams and rivulets. I’ve always admired beavers and with benefit of another of your fascinating blogs I know much more about them. Educational and enlightening. We’ll be on the lookout as we explore today pror to nuptials. Good news that their numbers are increasing. Back from threat of extinction yea! I enjoyed your essay on beavers. I have long known about the benefits of beavers to the environment. I am grateful for you educating people about these important animals.